Hockey. Swimming. Soccer. Baseball. These are just a few of the extracurricular activities that my kids have been signed up for. Crazy thing is, we talk about what programs they would love to do, we find a season in which to make it work, and we book it. Yet we never seem to think about the financial burden that it comes with. For example, I have absolutely no clue how much I spent in school year activities for my kids last year. And I totally should know! Granted I knew what each individual program cost, but not everything combined once it was all said and done. Shouldn’t I have prepared a budget for this? Yes, I should have, but I didn’t. I just registered my kids without even thinking. Thanks to TD Canada Trust, I was invited to an evening out to discuss how to afford and manage extracurricular activities during the school year. There were great presentations from Shirley Malloy, Associate Vice President, Everyday Banking, TD Canada Trust, and Terry Carson, founder of The Parenting Coach. I’ll be honest, I learned a lot! Such common sense tips and tricks that us as parents should already know or think about, but for whatever reason, I hadn’t been. 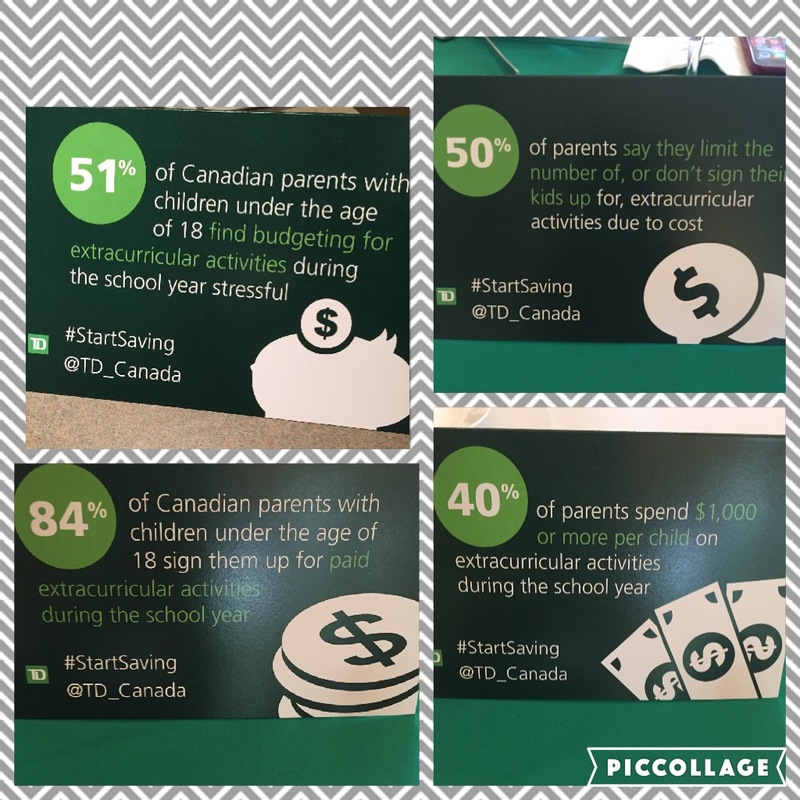 “According to a recent TD survey, four in ten (40 per cent) Canadian parents with children under 18 years old spend $1,000 or more on extracurricular activities per child during the school year and half (51 per cent) of them find budgeting for these activities stressful“. 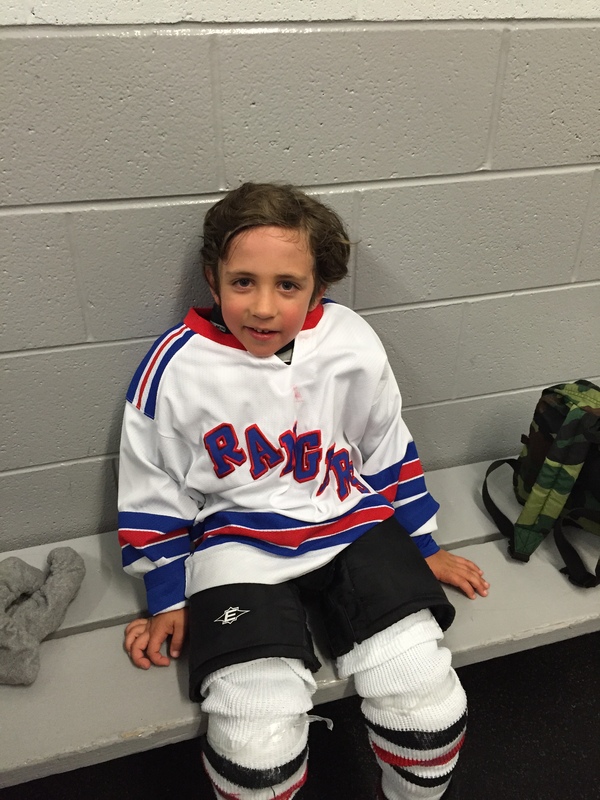 • Avoid costly surprises: When Z told us he wanted to play hockey, we were excited! But we had no idea what was involved and the amount of things we needed to buy before signing him up. So think beyond the cost of the class itself. Sometimes it’s the incidental fees related to that class or league that put us over our budget – such as the purchase of equipment or an instrument, or accommodations for weekend tournaments. Be sure to thoroughly research the class and ask instructors or coaches about all of the materials needed and any extra costs before signing up. • Create a budget and stick to it: If you are a TD customer, you can use the TD My Spend app to help manage your money and keep your budgets on track. Before the school year starts, create a budget that estimates all the annual expenses you can think of related to that extracurricular activity, plus five to 10 per cent extra to cover potential surprises like the end-of-season framed team photo or a championship sweatshirt. Saving a little each month and putting it into your savings account or TFSA can also help offset extracurricular expenses. Also, consider having your child sit down with you as you plan for these costs as it’s a great way to teach them about the importance of budgeting and saving. And, it’s never too early to learn about responsible money management, so even if it’s very little, have your child contribute to the cost of their activity. • Shop around for discounts: We were lucky that we have 3 nephews in the family that gave us all of their hand-me-down hockey equipment. It saved us a fortune! But there are stores out there that you can find bargains on used equipment and gear (and instruments, too) and don’t forget to ask friends and neighbours, or even shop online. Considering that kids will most likely outgrow equipment and gear quickly, this is a great option . I have also found buying a size up in certain items; give your child the opportunity to not outgrow it in the first year! • Don’t invest too much off the bat: If your child is young or starting an extracurricular activity for the first time, consider signing them up for classes offered through the city’s park and recreation department as they can be less costly than going the private route. Or, ask if you can try out activities before you commit or negotiate a trail to see if the program is a fit for your child. As younger children are still discovering what interests them most, you may not want to invest too much in one activity at this young age. • File your receipts: Don’t forget this one! Keep a record of all your child’s extracurricular activity costs and payments. Majority of programs can be tax deductible on your 2016 tax return. Receipts also act as a good reminder of what items you paid for this year when it comes time to plan for the next time around. • Think return on enjoyment: Remember that at the end of the day you are paying for these extracurricular activities and experiences, so they should be providing your child with a return on enjoyment. Each month, sit down with your child and evaluate what they are learning through the class, if they are having fun, what they like about it and what they don’t like about it. Use this information as a guide to when you are choosing next season’s activities, and don’t feel tied to that one activity. “Half (50 per cent) of Canadian parents say they limit the number of, or don’t sign their kids up for, extracurricular activities due to cost“. • What would Sherlock Holmes notice? We need to pay attention to what our kids like to do. Too often parents put their kids into activities that are of interest to them or that their kids’ friends are playing rather than focus on what is best suited for the child. Does your child like to draw? Consider art or crafts classes. Does your child have a lot of energy? Sports are a great option. • Ask me! Ask your kids what they are interested in. However, be sure to hold them accountable to the choices they make. In other words, if your child changes her mind after a few weeks and wants to drop out make her finish the season so she learns about responsible commitment (of course this is age dependent). • Can I go? Can I join? Kids can be impulsive and can’t always think ahead when it comes to their choices. It’s up to you to be sure the activity is a fit for your child’s age. Look for activities where kids are the same age as your child as they can quickly get discouraged if older children in the group have an advantage over the younger ones. • Beware of over scheduling! Kids need unstructured, free play time for development too. When kids are over scheduled with extracurricular activities they could become tired all the time or miss out on family and friend time. So, don’t feel you have to sign your kid up for everything at once. Remember, school is important and they need time to process what they’re learning there too! • Save your sanity! Take stock of the emotional toll that running around with your kids takes on you. After-school activities can involve fighting traffic, rushing through dinner and doing homework late. Find balance between your needs and desires and those of your children. If one activity per child per week is what you can handle then so be it! Budgeting and costs can be stressful. But with some planning, following these tips and even having a few tricks up your sleeve like stashing away a ten dollar bill every week, you can start feeling a little more relief! How will you #startsaving this school year? Share your tips and tricks in the comments! **Disclaimer: This post was sponsored by TD and I received compensation in exchange for my review. All views and opinions are my own.